Weight up to 120 kg single pcs. Steel up to 10 kg per pce. Brass forging up to 1200 gms. 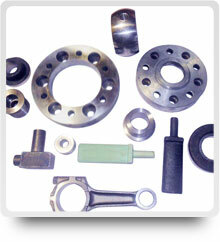 Metal Cast can offer opened as well as close die forging. Wide range of metal specification.